Lit-Digital.com, a digital literature project nearly three years in the making, is finally complete! All three interfaces are now fully functional and ready for interaction. We’ve given the site a bit of a send off (which includes a brief essay offering some of my very general ruminations on digital literature) over at the Atticus Review: http://atticusreview.org/. Huge thanks to programmer Darik Hall for his collaboration. 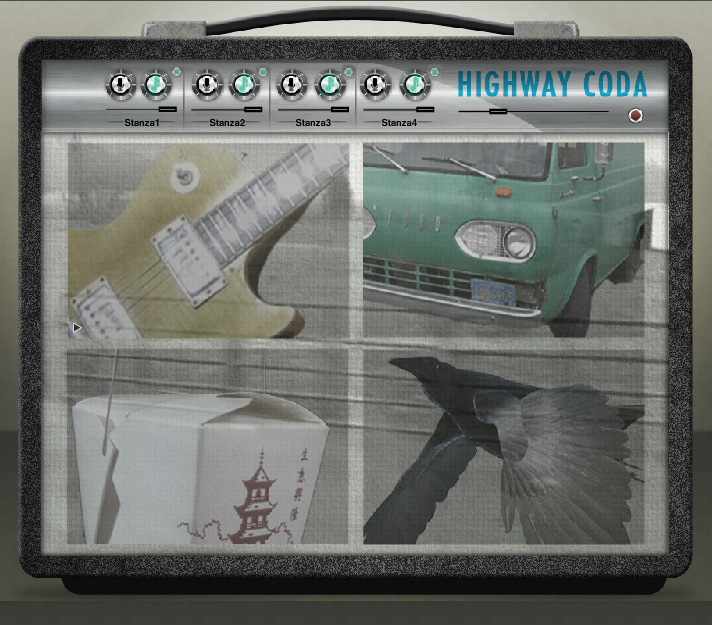 “Highway Coda,” one of the interfaces on the lit-digital site is a digital literary extension of the flash fiction piece you’ll find in Three Ways of the Saw. Ladies and gentlemen, the word has left the page. Last weekend, I had the pleasure of reading at Village Lights Bookstore, a really cool indie bookstore in the sleepy river town of Madison, Indiana. 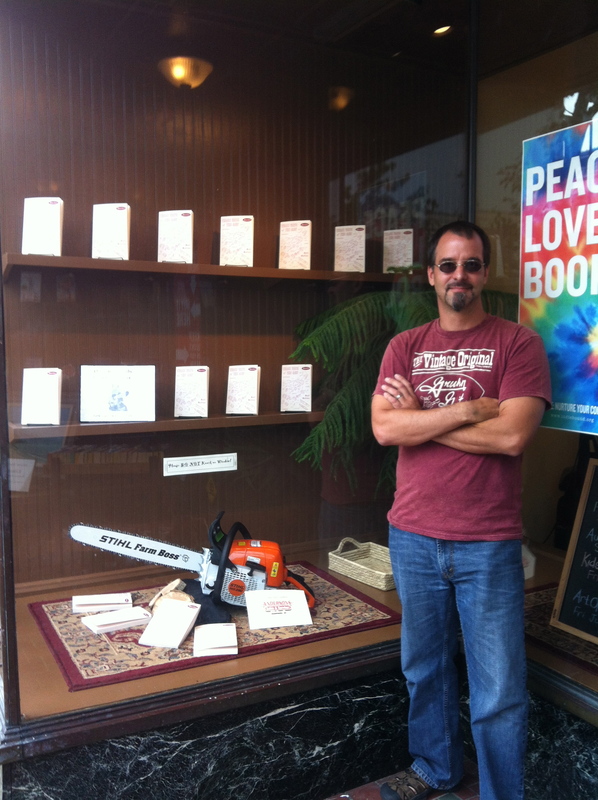 In addition to being a very kind and generous person with fantastic taste in books, the owner, Nathan, devoted an entire display window of Village Lights to promoting Saw, complete with chainsaw and a picture of Leatherface! I think the display goes particularly well with the “Peace, Love, Books” poster behind my left shoulder. Leatherface is hard to see, but he’s on the lower shelf, right next to the copy of Saw on the far left. Thanks for having me down, Nathan. And thanks to everyone who came out to the reading. It was an excellent time.